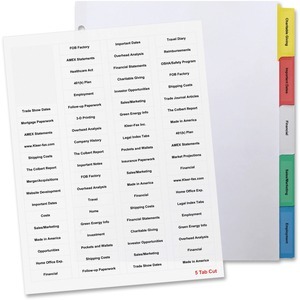 Letter-size dividers feature transparent tabs in contemporary colors to color-code your presentations, reference materials and more. Pre-punched binding edge is reinforced to prevent it from tearing out of your binder. Eco-friendly design is made with post-consumer materials to minimize its environmental impact. Dividers are perfect for personal organization at home, work and school.